I have two pfSense 2.0 boxes and I'm having a hard time getting a static route working. 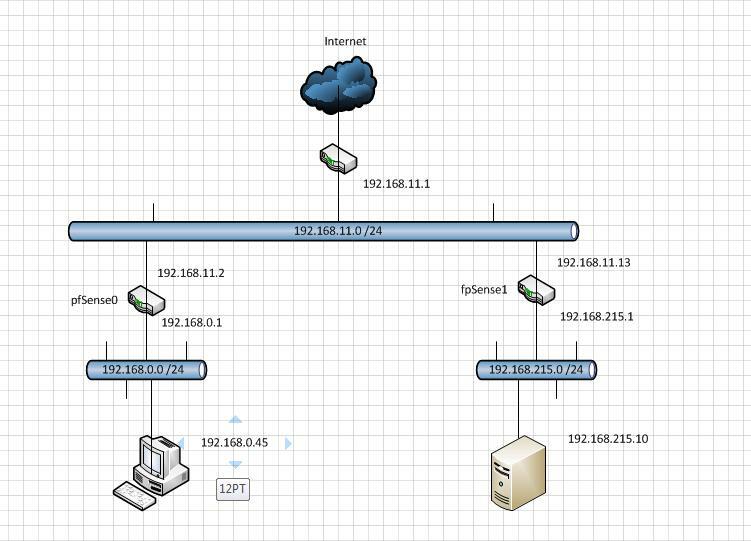 Here is a diagram of my network. I am trying to access resources on the 192.168.215.0 /24 network from the 192.168.0.0 /24 network. I have set the wan port on pfSense1 as a gateway on pfSense0 and also added static route that's supposed to direct traffic destined for 192.168.215.0 /24 through 192.168.11.13 (WAN on pfSense1). Needless to say it's not working. 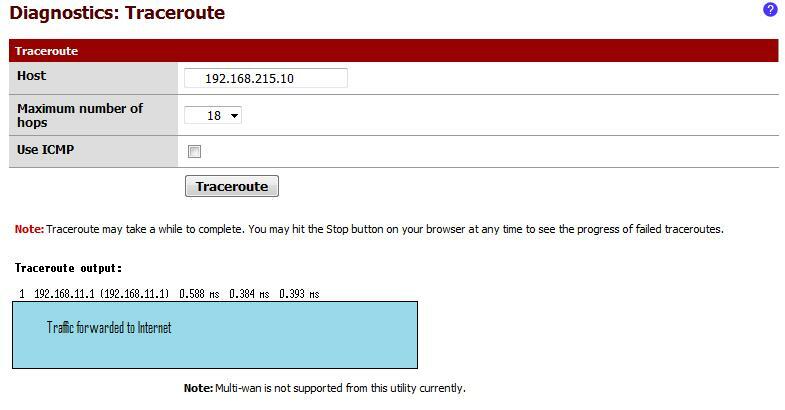 Traffic destined for 192.168.215.10 is being directed to the default gateway instead of the WAN port on pfSense1. It's like the routing table entry for the .215 network doesn't exist. I just don't get it. All these images show statuses on pfSense0. netstat -rn shows that the static route exists. 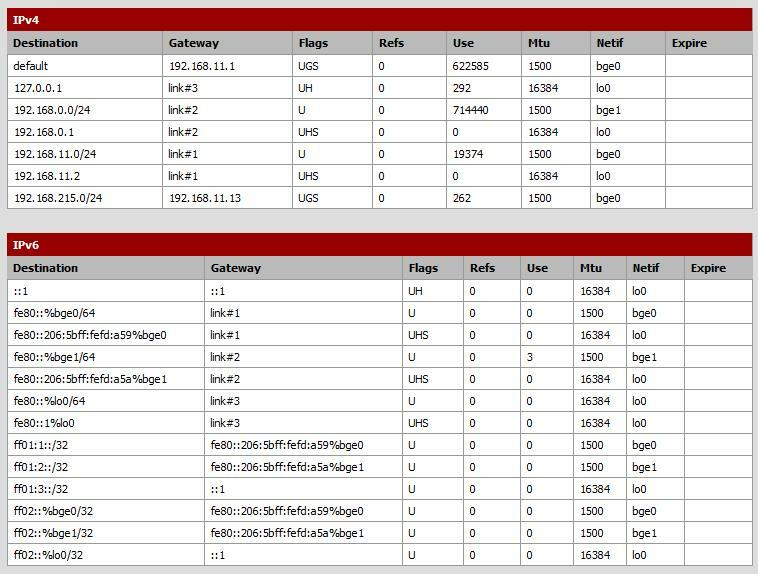 But the firewall logs show that the traffic goes through the default gateway (or tries to). Both the static route and the default gateway are on the WAN-side. pfSense (2.0) is acting as an OpenVPN gateway. In the Advanced-settings, there is an entry for "Bypass firewall rules for traffic on the same interface".